Today I thought I might share a fanfiction story I’ve made during my pass time. It’s a self contained story which doesn’t tie into any of the games main story events. Hope you guys enjoy the story! Once, there was a vibrant small town on the edge of Boston, a thriving town that was the dream for many Americans. ‘The future’ they said would be a prosperous and bright one for years to come. But that dream was not a reality, for America was on the cusp of a full scale nuclear war. After the war for Anchorage was won by the USA, the Chinese had lost all options to claim fuel supply’s that they so desperately need to survive. So it was that they have prepared to ignite their nuclear weapons towards America. It came as a sudden horror to the towns folk when it was announced by the military that nuclear annihilation was coming. In an instant the town was teared from history by the great atomic war of 2075. All that was left was the husked wreckage that the town once stood on, except for one building, Posiden energy station. This story follows a very unusual post war survivor by the name of ‘Head-screen’, a entrepreneur who is known for his unusual headwear. A tale of what an average merchant would to survive in a world that tries to kill you before you could even scream. The land was dry, barren and silent, as the dust blew through the wreckage of the forgotten town, not too far from Boston. If anyone during the pre-war time were still inside the buildings before the bombs fell, than they would be but ash and bone. Nothing living moved in the town apart from the wind blowing tattered flags and shredded curtains. However, just down south from the town was a gas station down the road. The tar road has crumbled and spilt from lack of attention for nearly 200 years, the technology to repair the roads have long been forgotten. Just as the gas station is in clear view, it’s obvious to see that the building structure was far from being unaffected by the nuclear blast winds. All the of windows have been smashed through, letting the wind howl into the building. Not only that, but the building itself is in a state of disrepair as ceiling panels, metal plating, walls, doors and lighting were either broken or corroding away. Inside, at the station till stood a tall man in a stripe grey suite with his red tie, black boots and wearing a half working TV box set on his head. This chap was known to travellers by the name of ‘Head-screen’, a cocky entrepreneur who would sell (cheap quality but pricey) junk to wanderers who pass by his shop. His past is shrouded in mystery, very much like the town near by. Some say he’s a ghoul who wears a TV box to hide his melted face, many say he’s actually a rouge robot from out of space, whilst others say that he might be a mutated fly-man that evolved from a Bloatfly, but none can say what he truly is. He was waiting at the till impatiently as his customer was looking at the junk on display, this customer had been at the shop for almost two hours. She wore a dirty green dress that was in tatters in patchy areas, her shoes were just barely even on her feet, her hair was short messy and grey and her skin seemed old and worn down. She was Just dribbling and starring at the shelf like a hungry day dreamer on radroach meat. Head-screen mumbled as the customer breathed heavily as though she were out of breath from running, but deeper than normal. “Look las, I know your taking your sweet time to gaze at my products, but I haven’t got all day ya know!” Grumbled Head-screen in a static tone from his speakers, as he looked at the customer with irritation. However, the customer suddenly turned around at the owner, eyes the colour of sickness, teeth as ridged and yellow as decay, skin melted and worn from radiation and a growl like a sore throat. His customer was sadly a feral ghoul, a regular customer who always came on a Tuesday just to look at the shelf until just after 17:14pm. This ghoul was once the co-owner of the station until the bombs came, the radiation had sadly turned her feral over time. She now lived in the shadow of her former life as nothing more than an animal with no purpose. Head-screen jumped out of his seat as his screen face formed into a shocked face and waved his hands in peace, the feral ghoul turned back around to stare at the shelf once more. Why she stares at a shelf is a mystery, maybe a fractured memory that she still retains of a moment in the pass, or just staring at the owners nicely arranged display of cheap goods.’This is gonna take awhile’ sighed Head-screen as he looked at the clock, only just gone 14:30pm. By the time the feral ghoul left the station, the owner had fallen asleep from boredom of waiting around. His screen face was a static fuzzy screen of crackle, lighting the dark room as night time approached. Just outside the station, a group of raiders appeared from the darkness with crude gear and malice in their hungry gaze. One of the members spoke with a gruff but excitingly devilish tone “time to get some goods from the oven boys!”. The raiders laughed as they started to approach the station with their pipe pistols loaded and ready to seek and destroy………. I hope you guys have enjoyed this fanfiction story, I’ve had fun writing it in my spare time. If you guys want me to write more on this story, comment below and like the post. [note: this is just a fanfiction post based on the Fallout franchise, which is owned by Bethesda. I don’t not own any of the characters nor setting of the Fallout franchise, and all property’s belong to its respective creators]. 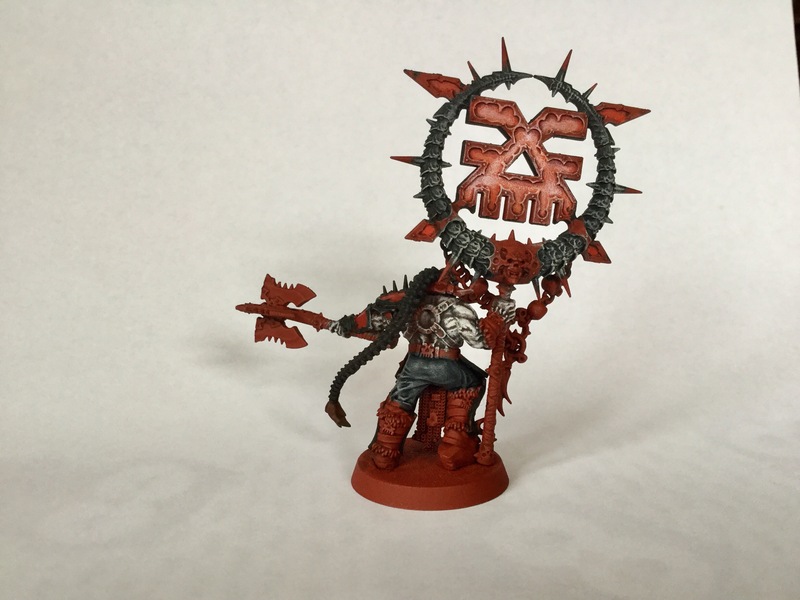 Once again, Khorne has been the focus for my hobby time this week. I found an awesome red primer at Halfords for reasonable price, which did an awesome undercoat job for my collection. I’ve already nearly completed painting the Khorgorath, just need a few more areas tidying up. 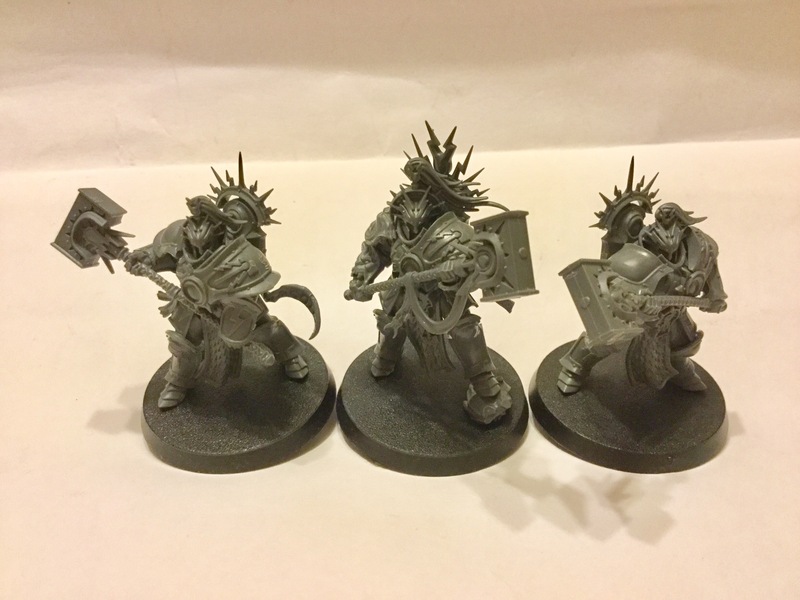 The whole army is inspired by the guide imagery of different Khorne Bloodbound warbands from the AoS starter box, The Axes of Skarbrand being chosen as a guideline for my collection. 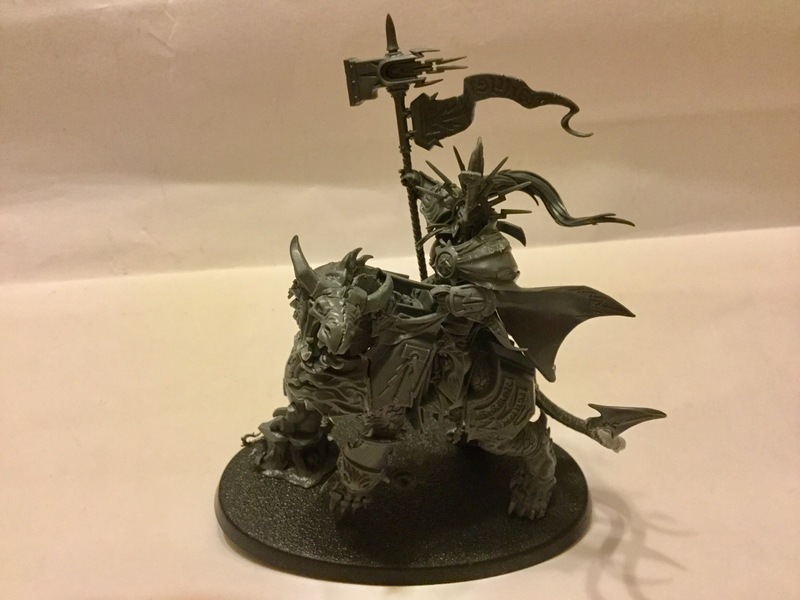 I’ve chosen this guide because I like the concept of a warband being mixed in with a Deamon warhost, who follow Skarbrand to battle. Also, no bronze trim for the guideline image, which is a relief for me. 1) Basecoat the model in Plastic primer red (Halfords spray paint). 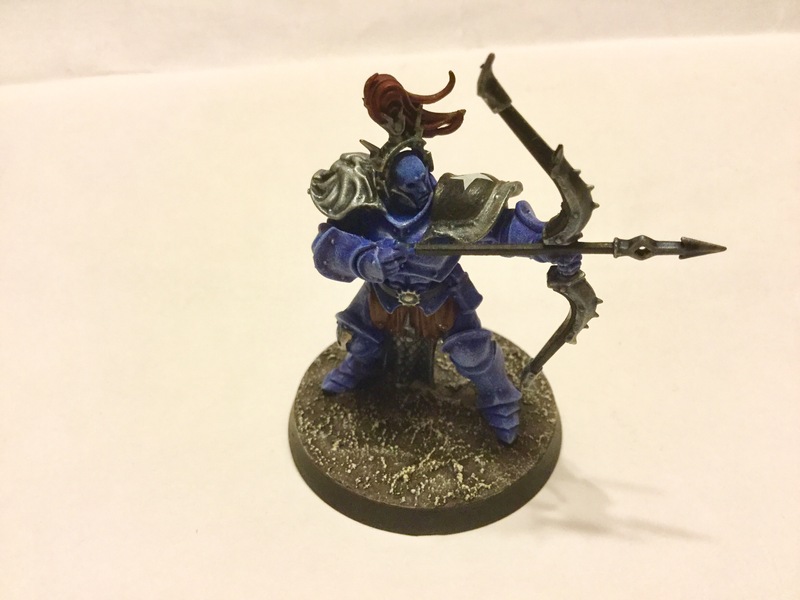 2) Shade the model in Reikland Fleshtone all over. 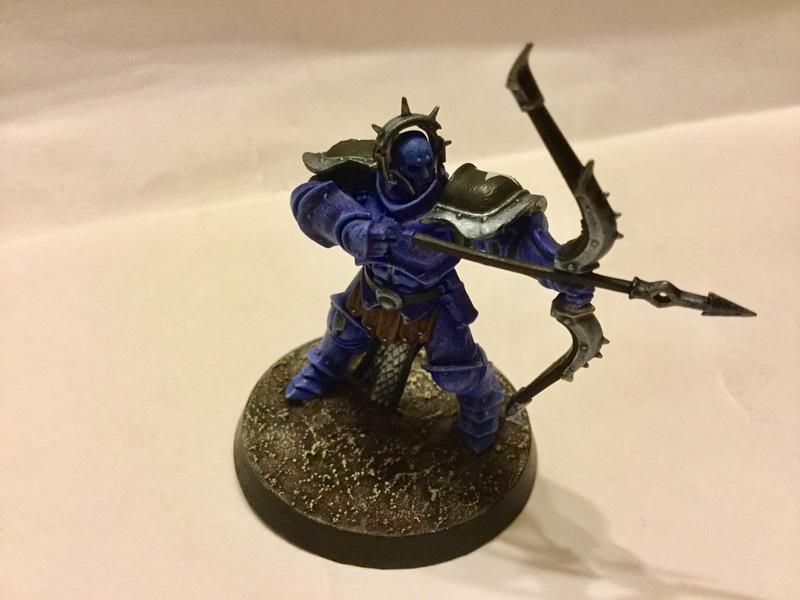 3) Then use Agrax Earthshade on the legs and shoulder areas, drawing out the shade for a blended transition of shade tones. 4) Finally, shade the above mentioned areas again in Druchi Violet, again draw out the shade to transition from the previous shade layer. 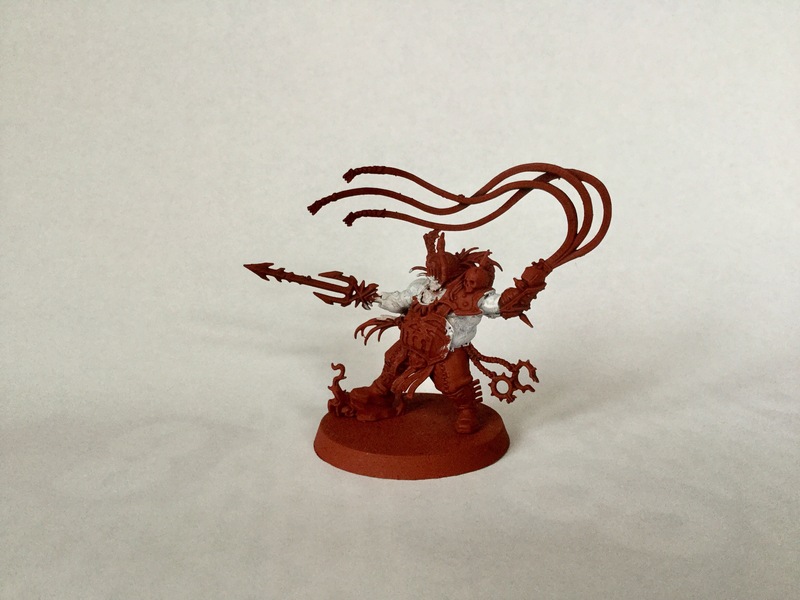 5) Drybrush the model using Mephiston Red, but don’t dry brush over the dark shade areas, just lightly drybrush the edges of the the shade areas. 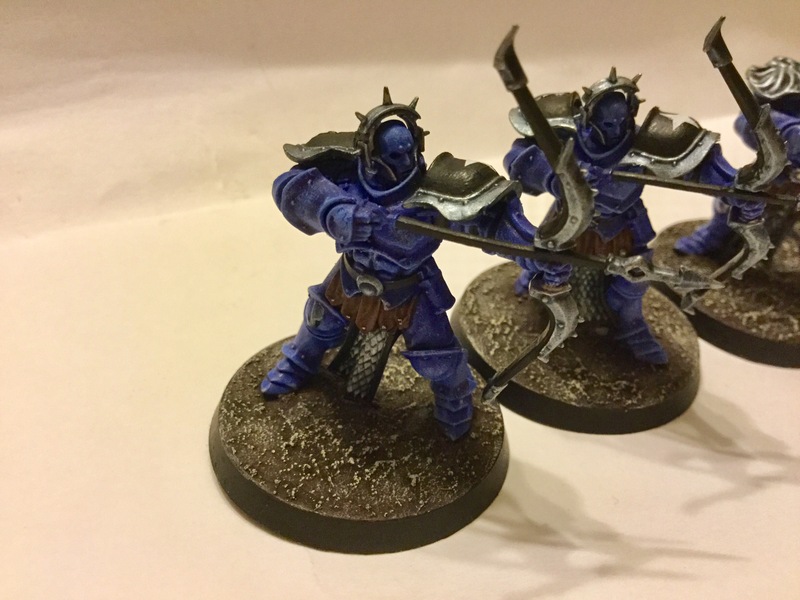 6) Finally, Drybrush the light areas with Ryza Rust, again don’t Drybrush over the dark shade areas. 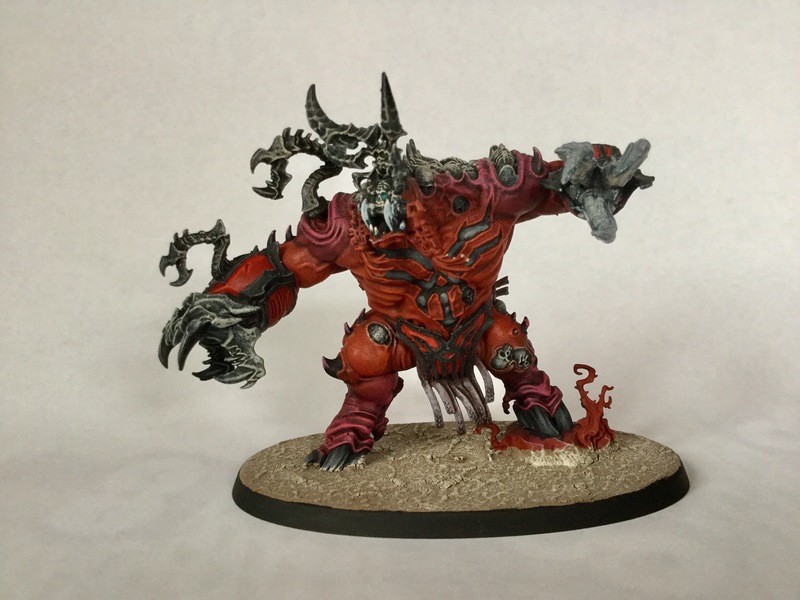 7) For the dark shade areas, I started with a drybrush of Screamer Pink, followed by another drybrush of Pink Horror and finally dry brush using Emporer’s Childern. 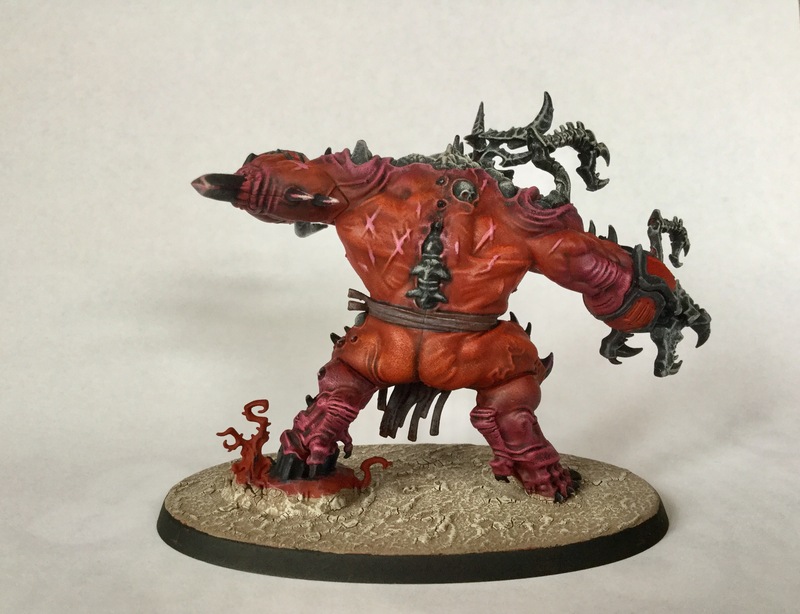 8) The scar wounds were done using a layer of Pink Horror, followed by a hilight of Emporer’s Children. 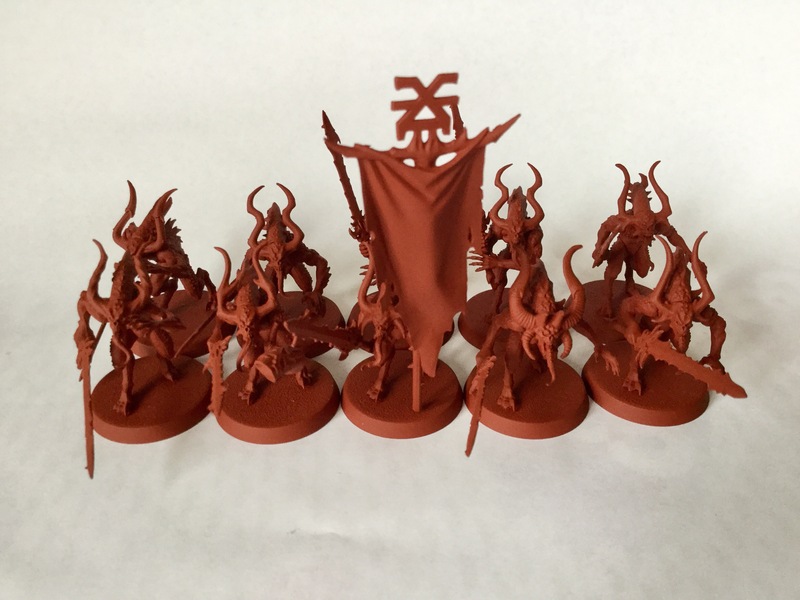 The latest addition to the force are a unit of Bloodletters, all undercoated in the same spray as the rest of the army. These will be painted slightly different from the rest, as I don’t like uniform colour being the same on Deamon skin. 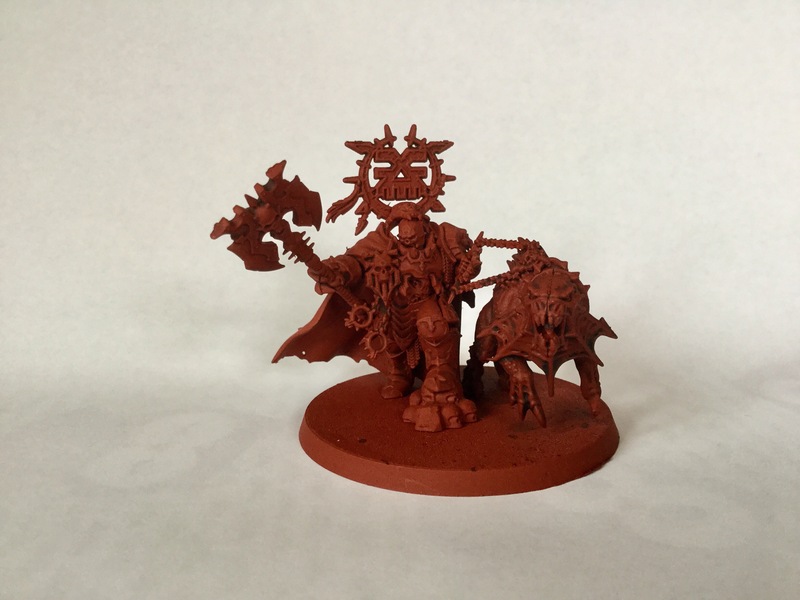 The Mighty Lord of Khorne and his Bloodhound show slightly different tones of shade, the lord being shaded in Reikland Fleshtone and the Bloodhound shaded in Agrax Earthshade. 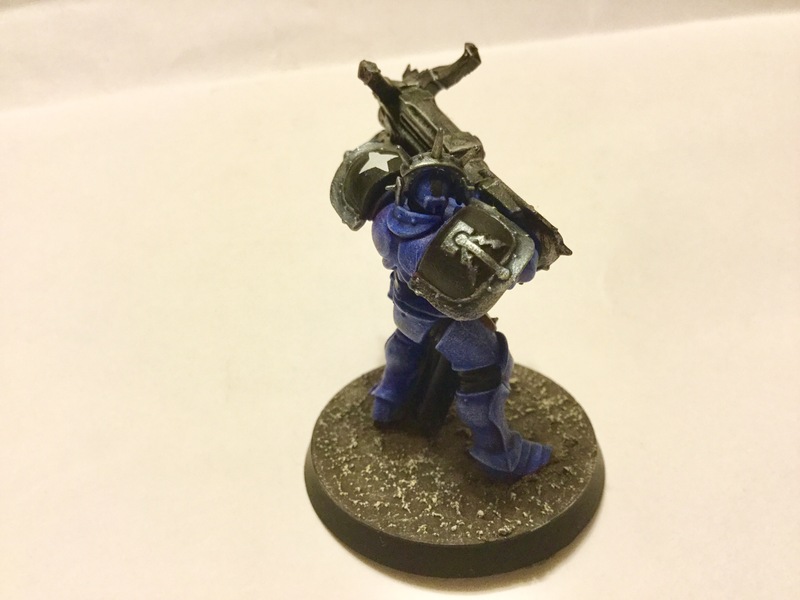 This will develope over time to show two different colour paths for the models, the Bloodhound’s colour scheme being a prototype for Deamon flesh painting. 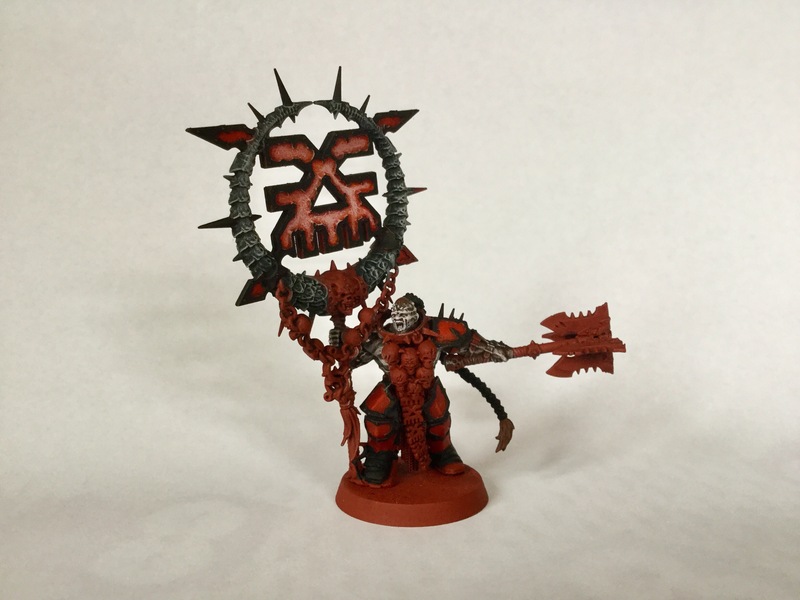 The Bloodsecrator is slowly looking close to the guideline image of ‘The Axes of Skarbrand’, although it’s far from being complete. 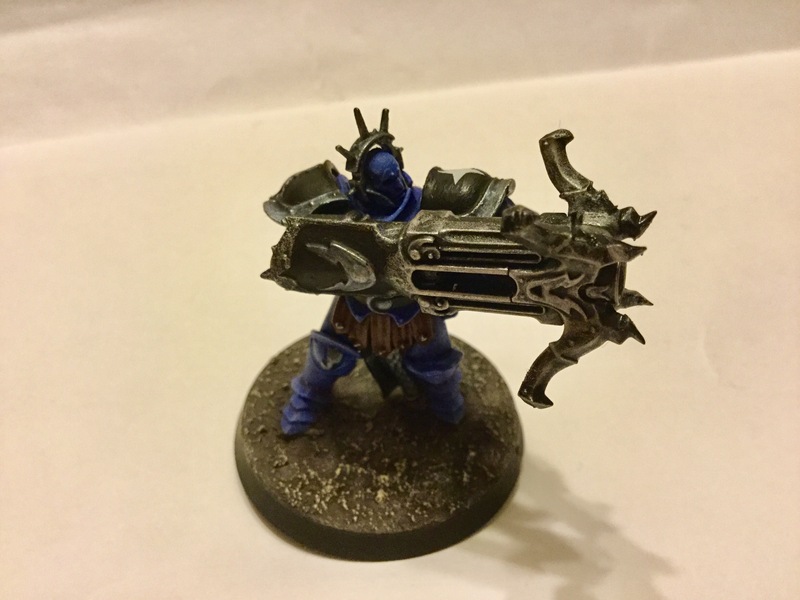 I’m trying out a few techniques on the model to see what I can achive in terms of painting skills that are out of my comfort zone. Finally the Bloodstoker, the skin is going to be alter as the white basecoat was pretty sloppy of an attempt on my part. Thankfully it’s nothing major to worry about for now. I hope you guys have enjoyed the post! If you have any questions, post a comment below and I’ll reply back as soon as I can. Thanks! 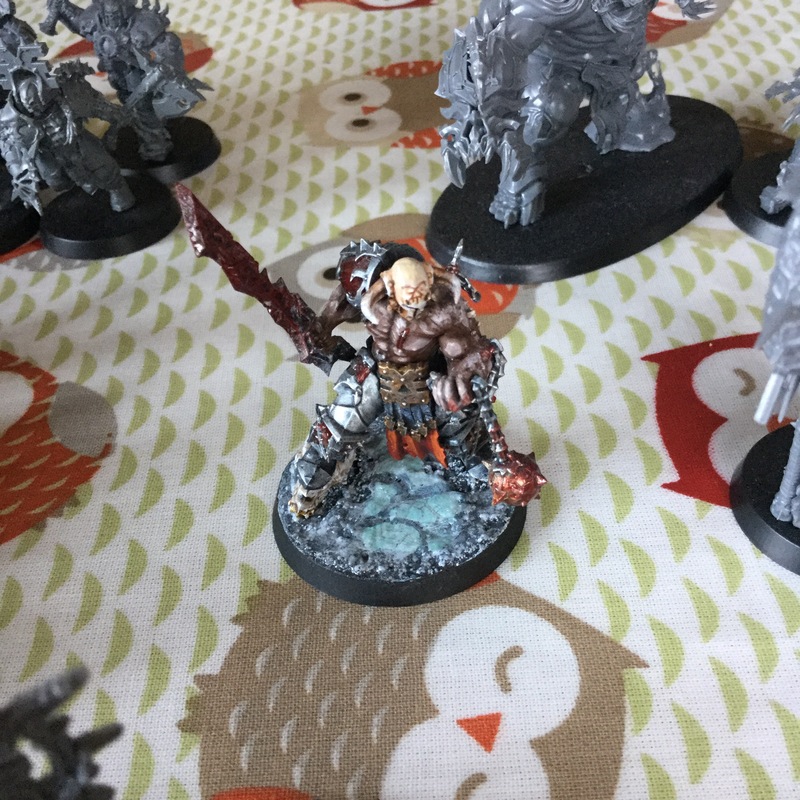 “If there’s one thing about Khorne’s Bloodreavers that I’ve come to realise, is that they really need to wear some decent winter coats. Probably because their so warm blooded by their curse, that they’ve forgotten that they themselves are cold blooded in reality…….”. – Brother Gregor of the chapel of Sigmar, wearing his thermal bright yellow robes before losing it to a Reaver champion. 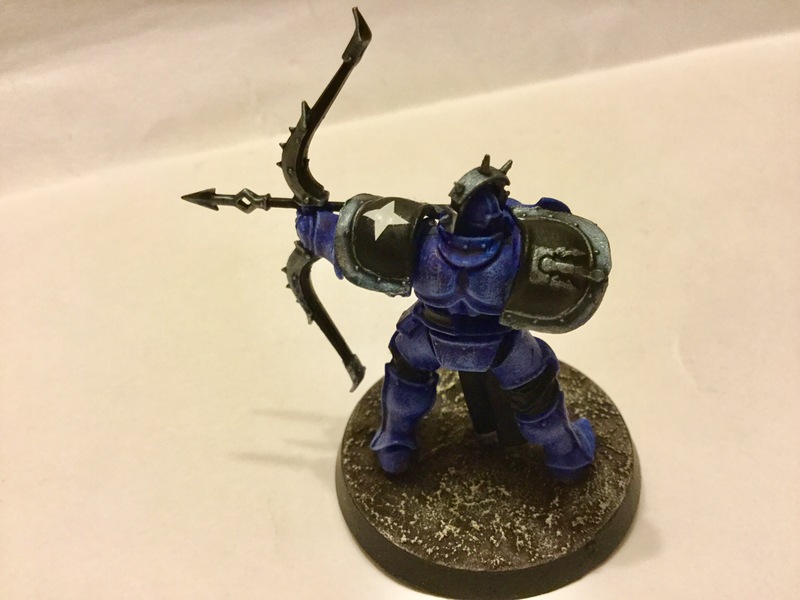 Hello, and welcome back to another AoS collection post. 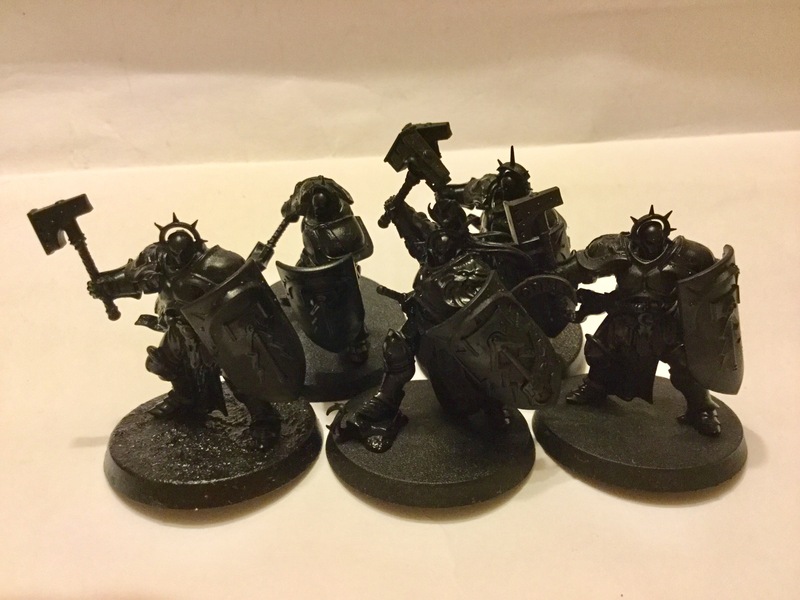 Today I wanted to show how my Khorne Bloodbound (part of my combined Chaos Grand Alliance) collection is going so far. As well as an off topic end subject on a book that I’ve been reading lately. 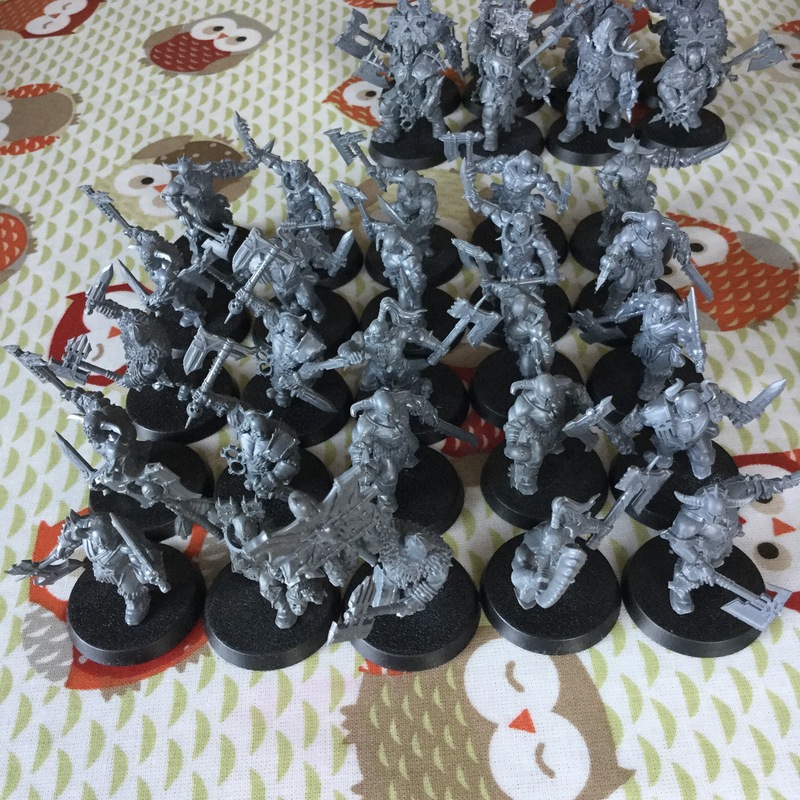 First off, we have a full unit of 25 Blood Reavers as the backbone of the army. So far so good, but painting twenty five models is going to be a stretch considering my enthusiasm for painting big units is lackluster. 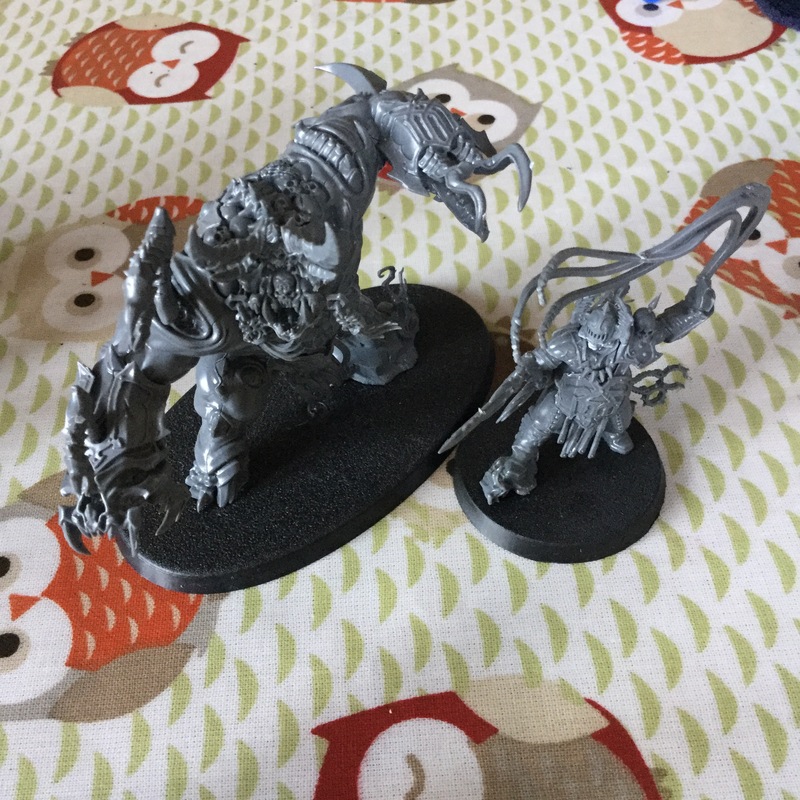 My recent game of AoS had my Warlord in a sticky situation, staying at the sidelines as a backup didn’t sit well for him. It bored Khorne so much that he left my General to be bested by a tomb king. 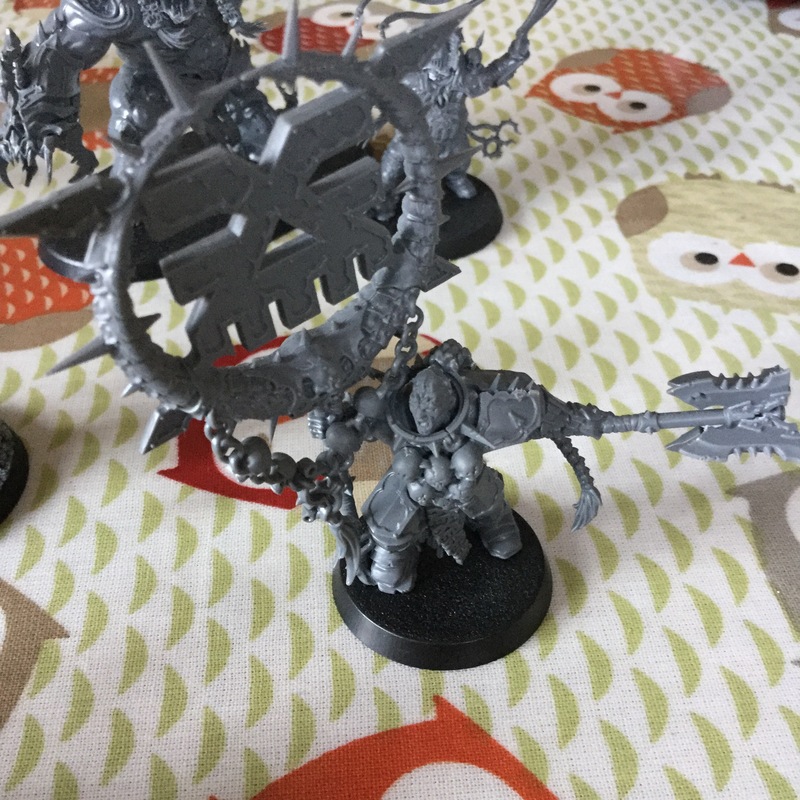 No worthy skulls for the skull throne that day…..
One of my favourite models from the range, the Bloodsecrator was the most effective model in my collection when it came to thursdays battle. This model might not be part of the collection for future games, as the baseing and colour scheme is going to be different from this model. 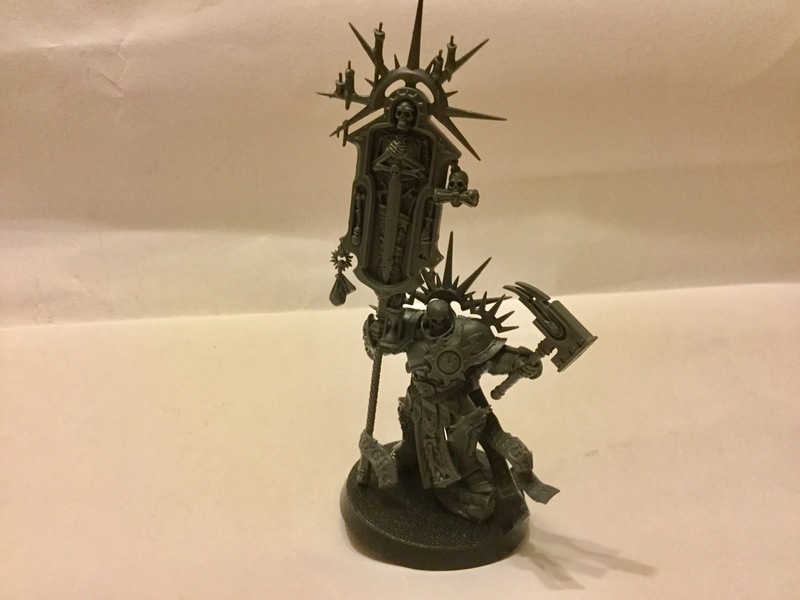 So he might be used for Warhammer Quest, or just as a centrepiece once I’ve brought another priest. 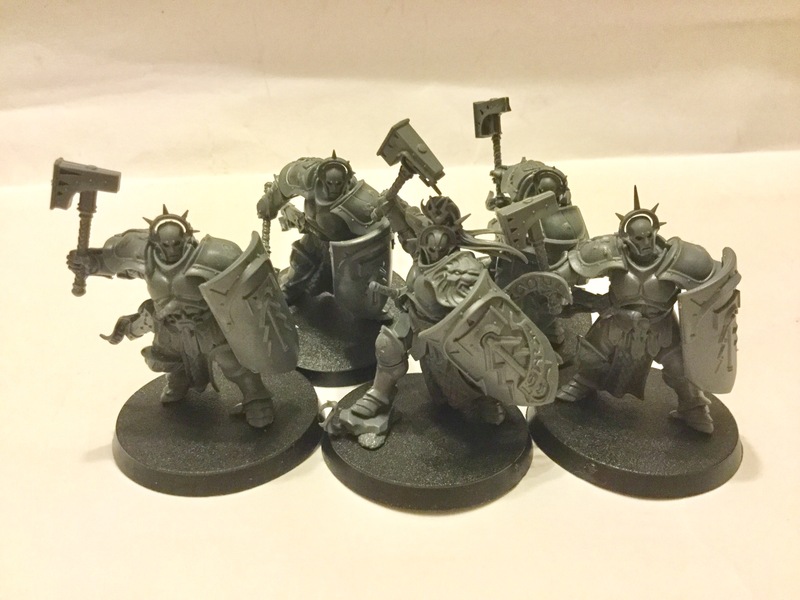 In all honesty, I prefer the Blood Warrior models from the starter set rather than the models in 10x unit kit box. The designs looks less cartoony than the current set kit, looking more grim and close to their lore description as heartless savages. 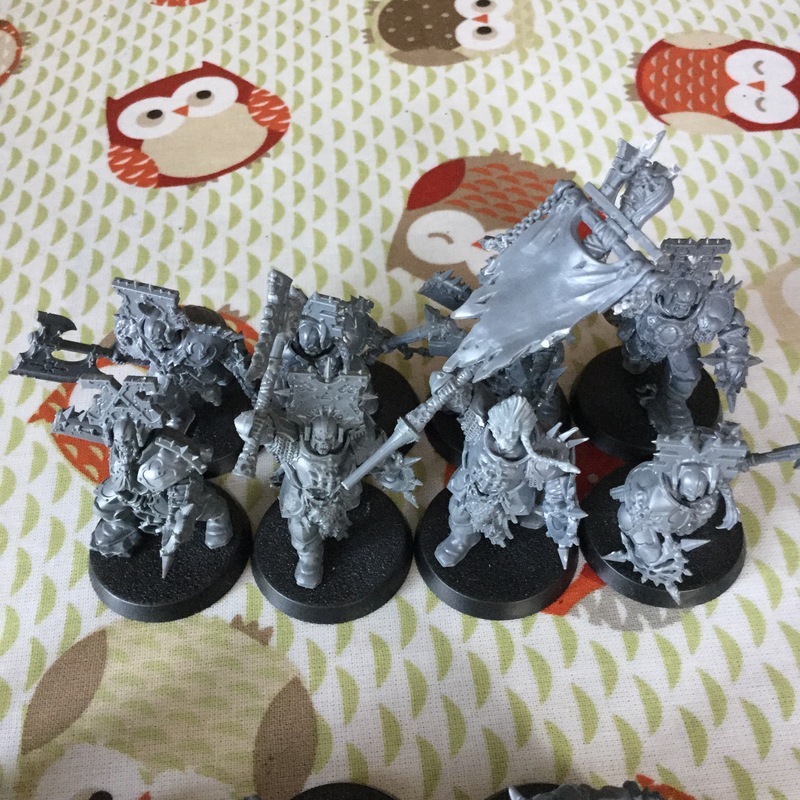 As you can see from the photo, I’ve made my own banner man (who might have a big lore role in the future), kit bashing it from space wolves, Plauge monks, Cold one Knights and tank bitz. Currently I’ve been reading a few books during my spare time, one such book in particular that I’ve really enjoyed reading was ‘The Warhound and the Worlds Pain’. For those who don’t know about this book, it was written by Michel Moorcock who has written a few Sci-Fi and fantasy books in his career. I won’t give the story synopsis due to copyright and spoilers, so you’ll have to research that part yourselves. However, the story’s theme revolves around the concept of being your own master, not Bowing down to gods/deitys to control your destiny. Who knew that going to a second hand book shop in an antique buissness area would be a source of thousands of old second hand Sci-Fi/Fantasy books (and old DC/ Marvel comics too!). I’ve really enjoyed this book so far, the story, setting and characters are impressively structured by the author. So much so, that it’s firmly got a place in my top 20 books of all time. 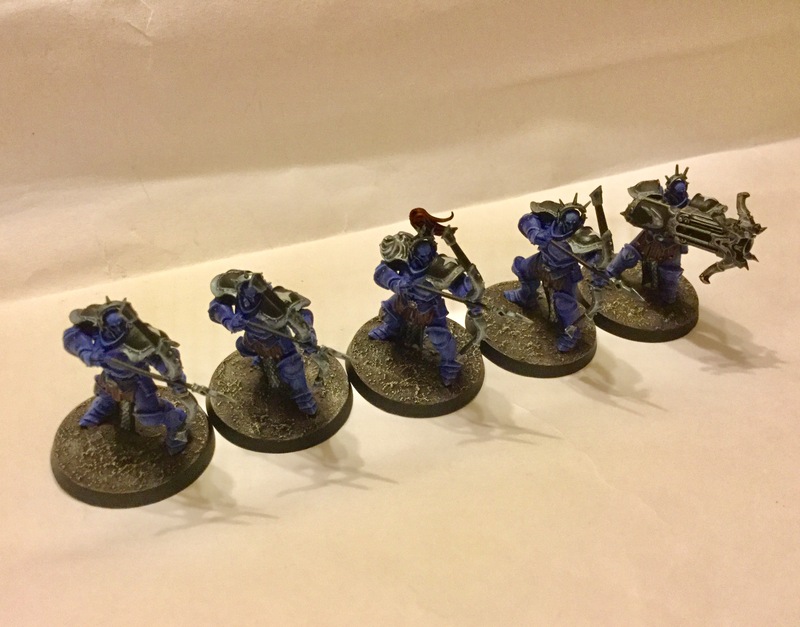 Today I was able to paint a full Judicator unit (apart from the arrow bags, they’ll be paint separately), with a good enough paint pallet that I was comfortable with. 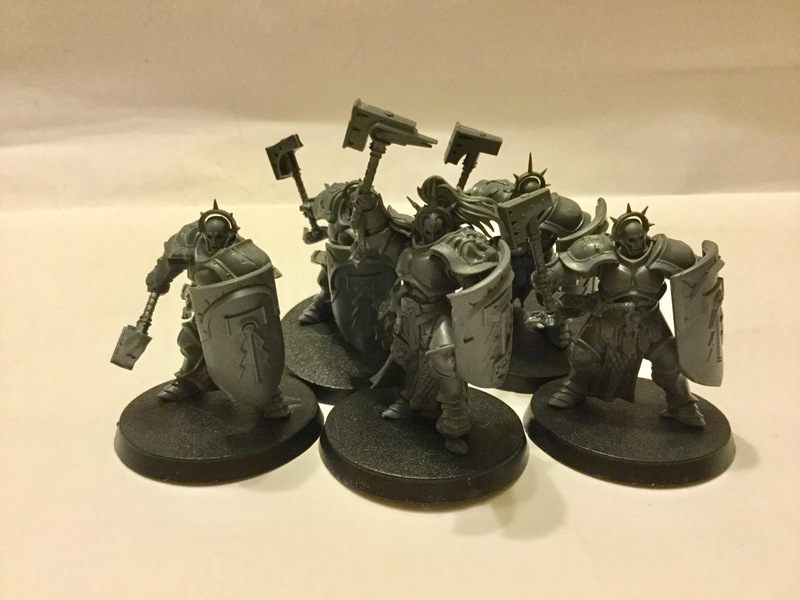 Since these guys were completed, I thought I might share some photos of the current progress on my Stormcast Eternals collection. I don’t feel like adding much descriptions for the units, as I’m feeling pretty tired tonight. But anyways, Enjoy! 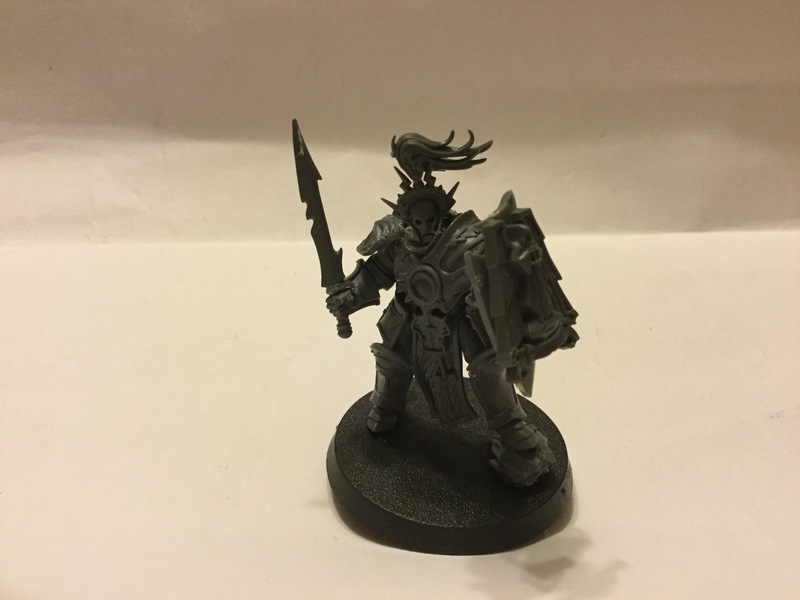 Today I thought I would post a backstory lore on my Stormhost that I’m currently building, this will show some context as to what my Stormhost intentions and background are about. Hope you guys enjoy the post! In the eye of the storm, I rise from the ashes anew in coldness. Deprived of warmth and cowardness to all my enemies, and to those who would threaten the rulership of Sigmar. We are the half-lived, we care not for pride nor glory, but for the means to achive our duty. Lest we become what our elders had become, for damnation is their ways. We are the lords of Pisces, the tide that will devour our foes in the storm. Let none escape from our brooding hammers, for they seek vengeance at a whim. 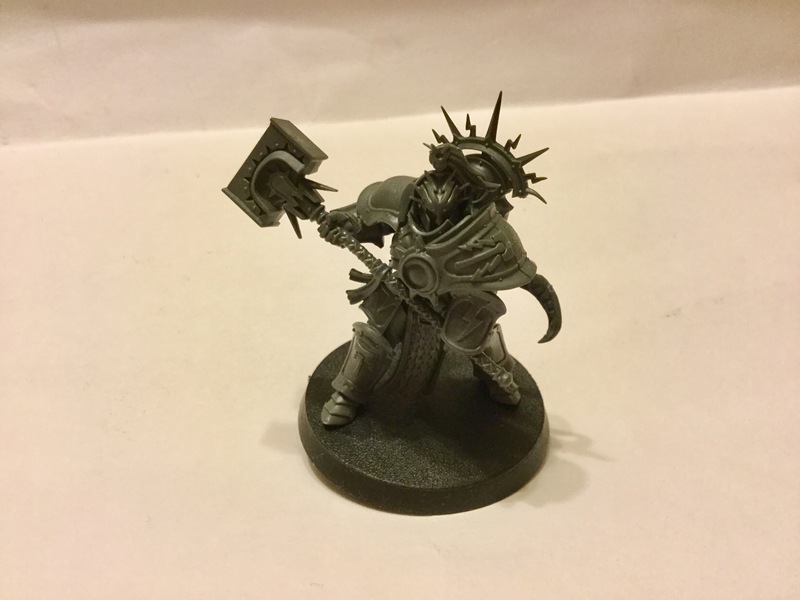 Many Stormhosts have a hopefull mindset for sigmars great plans to retake the mortal realms, to rebuild what was lost from the golden age of mythical times. However, some Stormhosts have old agendas that linger from their past lives, seeking only to destroy and avenge their fallen people. 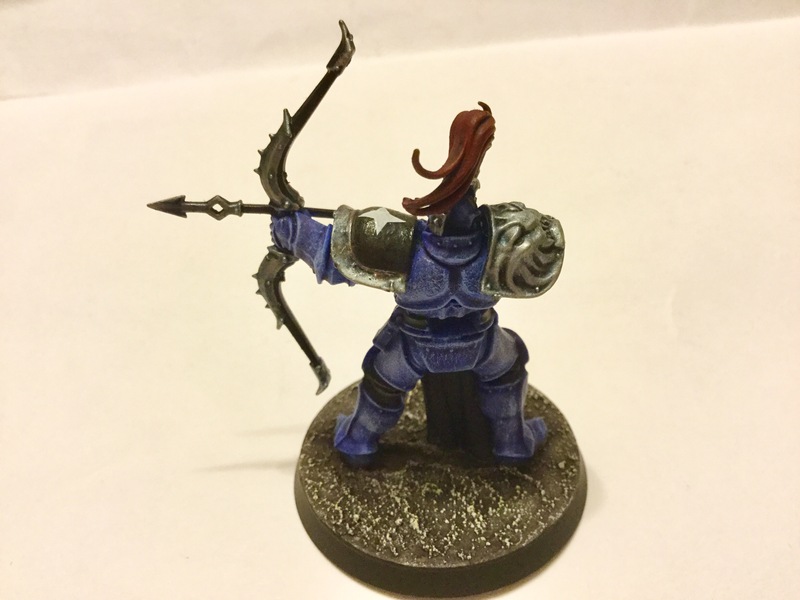 One such Stormhost is the host of Pisces, or as other Stormhosts would name them as the ‘Half-lived’. The reason why they are called the half-lived is a rumour, that they are so cold blooded in their actions, which could be effects caused by reforging so many times that they have lost their identity and souls by battle. Their eyes glow frost blue with inhuman stares under their helmets, implying that they have lost themselves forever in their brooding agenda. What’s their agenda? 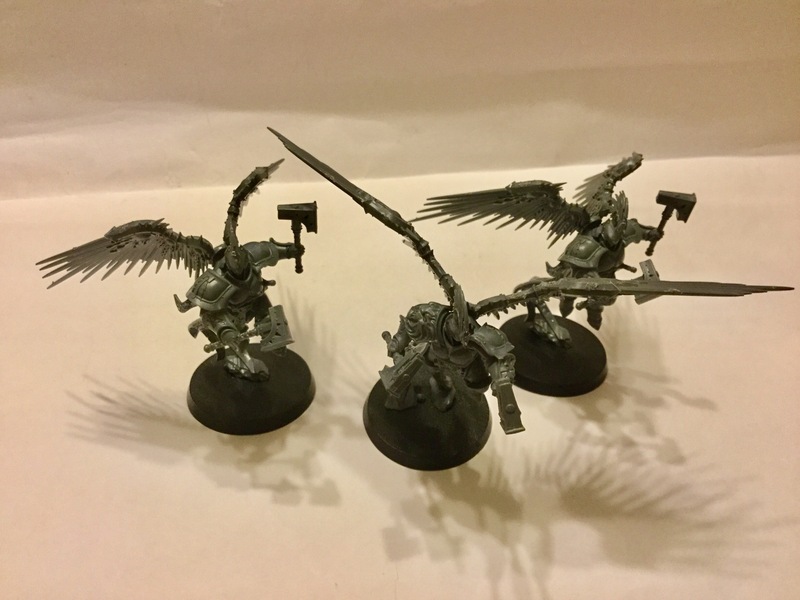 It’s their sole purpose in life to retake their kingdom from the chaos gods, showing no mercy for the accursed taints of any who bear the mark of corruption. They seek to reclaim the Grey-mane Dynasty and re-establish a civilisation built on the tenets of the new ways. So far they have reclaimed the heart of the Grey-mane dynasty capital, Lanius archvengus. However, they are being slowed down by the ghoul hordes of Elder Queen Hexter, who herself wants to reclaim the lands for her own twisted plans. Hope you have enjoyed this, of you have any questions, post a comment below and I’ll reply back as soon as I can. Thanks!